With just 17 seconds remaining and the Wizards up 72-69, Andre Miller went to the line with a chance to ice the ballgame. He missed both free throws but Nene was there to tap the loose ball out to Bradley Beal and draw another foul. The second-year player calmly knocked down both free throws – closing out the series against the Chicago Bulls who were nearly unanimously picked to beat the Wizards in the 2014 Eastern Conference opening round of the playoffs. The baby Wizards, a team led by a 24-year-old John Wall and 21-year-old Bradley Beal bounced the Chicago Bulls, a veteran playoff team that had made the playoffs six years in a row. The series win brought joy to a franchise desperate to move on from the Gilbert Arenas era, but the hope about the team’s bright future far surpassed the satisfaction of the win itself. Washington’s surprise win put everyone on notice that the Wizards were a team to be reckoned with in the Eastern Conference. The window of opportunity had opened and the rest of the conference was put on notice they’d be around for years to come. They even captured the attention of Paul Pierce, who opted to sign with the Wizards for a season to mentor the young backcourt and try to guide the franchise past the Eastern Conference Semifinals. Yet, in the four years that have passed since the Wizards’ breakthrough win over the Bulls, they’ve done little to take advantage of their window of opportunity. The core of John Wall, Bradley Beal, and Otto Porter still haven’t advanced past the second round. After putting together their best campaign since 1978 last season, Washington has fallen on tough times this time around. They’re entering the playoffs as the eighth seed, and need to go through the 59-win Raptors and most likely the Cavaliers to break through and advance to the Eastern Conference Finals. Despite it all, they have a golden opportunity to right all of their wrongs from a disappointing regular season and make a run at that elusive, Eastern Conference Finals appearance. Their first round matchup against the Toronto Raptors will not be easy, however, the Wizards have shown that they can compete with the team up north. They split the season series with Toronto 2-2; playing all four games without John Wall. Facing the Cavaliers won’t be easy either, but with the way the Cavaliers have struggled defensively, and the drama that has surrounded the team this season, anything is possible. The Eastern Conference is as wide open as it’s been since LeBron James left Miami. If the Wizards can’t get it done, they have a get out of jail free card for this season—John Wall missed 41 games this year and will likely be less than 100 percent for these playoffs—but that doesn’t change the reality that this might be their last chance to keep their window of opportunity open. 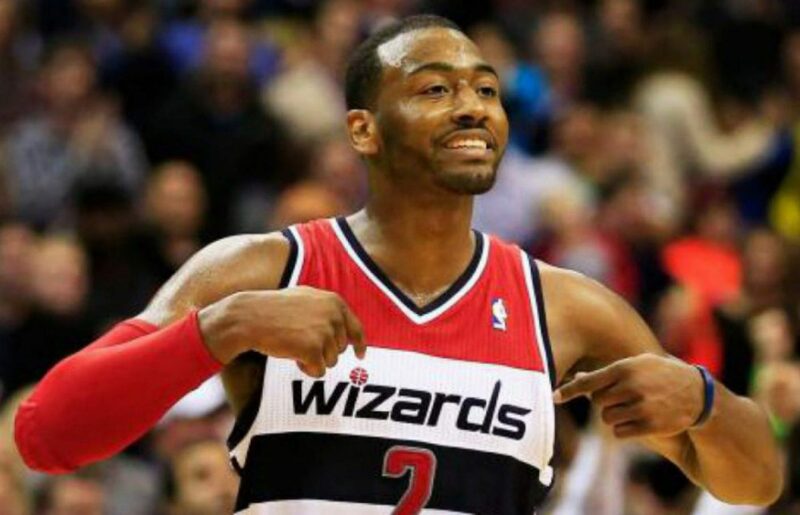 As the Wizards have struggled to improve, other contenders in the East continue to get better. Say what you want about the Raptors’ playoff shortcomings, they’ve found ways to improve around their talented backcourt. The Celtics lost Gordon Hayward minutes into the season and Kyrie Irving missed 22 games with injuries. Yet, they were still able to rattle off a 55-win season. The 76ers are currently riding a 16-game winning streak and already have a 50-plus win season to their credit. The Bucks have arguably the best player in the conference besides LeBron James and an attractive coaching position to fill this summer. The Pacers put together a 48-win season in what was supposed to be a rebuilding year. Looking past this season, things don’t seem any brighter for the Wizards barring a complete overhaul. They’re already in the luxury tax, so they won’t have the means to make a splash in free agency this summer. Much like last summer, they’ll have to sign guys at minimum to mid-level deals and hope they can bolster a bench unit which has struggled to support Washington’s key players. They’ll probably rate as the sixth or seventh best roster in the East on paper. The core of John Wall, Bradley Beal, and Otto Porter isn’t old, but it isn’t young either. Almost every other contender’s core is younger, save for the Raptors, Celtics, and the Cavaliers, who have already solidified themselves as more legitimate contenders than Washington in the present. Things don’t get any better in 2019. Marcin Gortat and Markieff Morris’ contracts come off the books, but that’s also when John Wall’s supermax extension kicks in and Kelly Oubre will be eligible for restricted free agency. Everything seemed so clear four years ago when the Wizards’ young core took down the Bulls. Their window to contend was open and it looked like it would stay that way for next 8-10 years. This year’s wide-open race in the East might be the Wizards’ last chance to prop that window back open before it’s too late.